Can resurgent Boston Town shock leaders Daventry? Boston Town could have their say in the title race as they face leaders Daventry Town today. 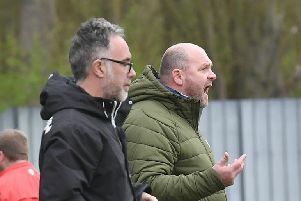 Gary Edgley’s side will arrive at Communications Park with nothing to lose and brimming with confidence following their resurgent 2019 form, which has seen them lose just once in 11 contests. The Purple Army lead the United Counties League Premier Division by nine points, although second-place Deeping Rangers have a game in hand. The Poachers will be keen to rock the boat and build upon Saturday’s 2-2 draw at sixth-placed Cogenhoe United.